GLIDR puts feedback, discovery and validation at the center of your product development process. 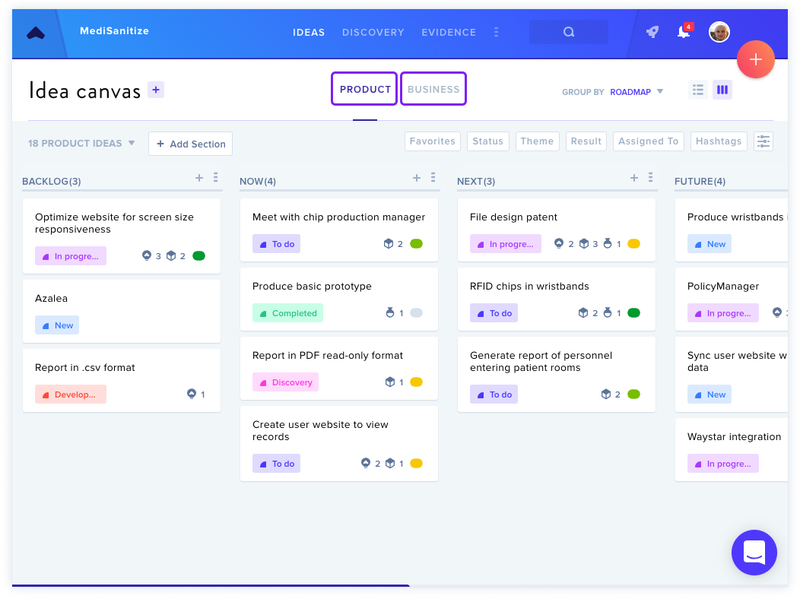 GLIDR gives you tools to set up a robust product roadmap, test your Ideas through Research & Experiments, and connect validated Evidence. As an Enterprise Team Member, you may be added to multiple Projects by the Account Owner, allowing you to work on multiple projects simultaneously. You can find the list of Projects in your Organization in the menu on the left-hand side of the screen. Projects you have been added to will appear with a filled in square icon to the left of the Project name. 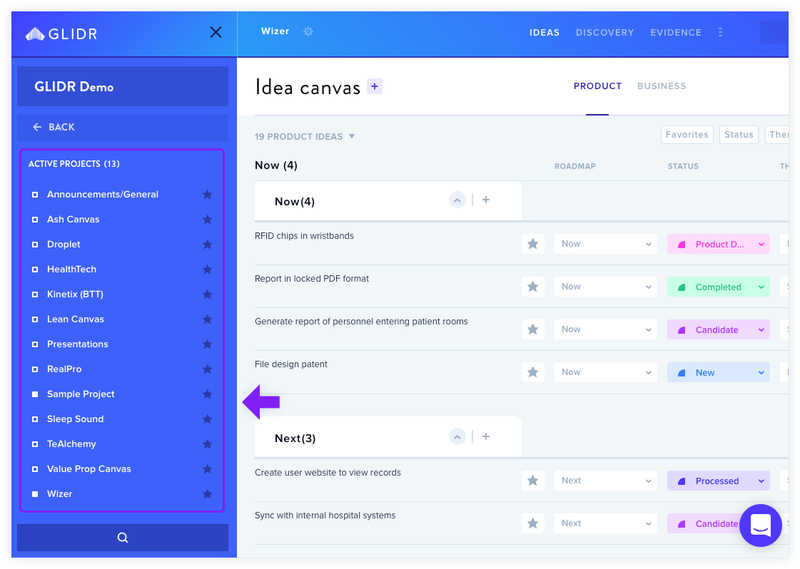 GLIDR offers a Business Canvas and Product Canvas for each Project, allowing you to distinguish the ideas that are directly related to your market vs. related to your product. You can categorize your Ideas by Roadmap, Status and Theme. When you start your Project, you'll find that the Roadmap and Status categories are already filled out with suggested titles, but your Account Owner or Project Admin can change them to fit your needs. Keep it brief! There's a 100 character limit, but you can click on your Idea to add more detail and expand on your thoughts. Once you've started adding and validating or invalidating your Ideas, you may decide to prioritize them according to your needs, or progress them as they move through the Product Roadmap. This can be done by dragging and dropping the individual cards, which can also be done in List View. Once you've added your Evidence, you can connect it to your Ideas, or vice-versa. Clicking on the Connections tab will show you any existing connections you've made, and you can also add or edit connections to your Ideas.